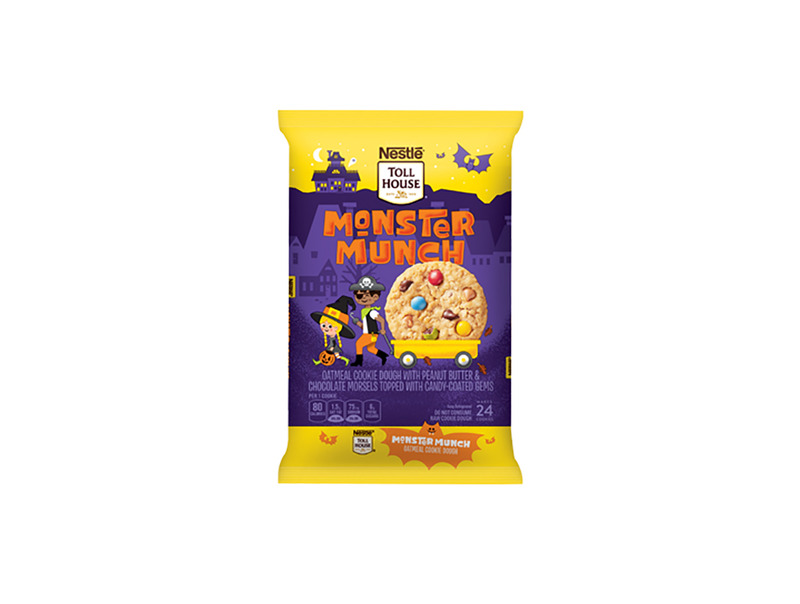 Search results for "halloween cookie pops"
Toll House’s Monster Munch Cookie Dough is jam-packed with Halloween goodness. These one-bite wonders are a dream come true for ghosts and goblins on Halloween night. Bundle a goodie bag of Ogre Eyes for a party favor, serve up a plate of red velvet eyeballs at the kids' Halloween party at school, or just enjoy a delicious Transylvania Truffle because you already have your costume picked out! 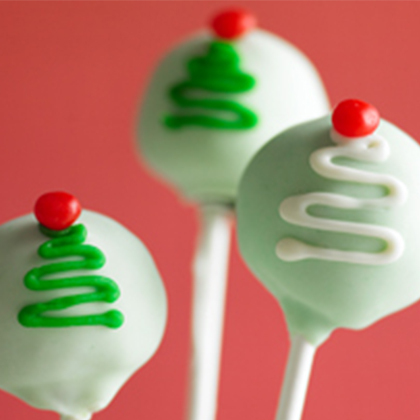 Cake pops are super easy to make and can be made to suit any taste preferences or party theme. 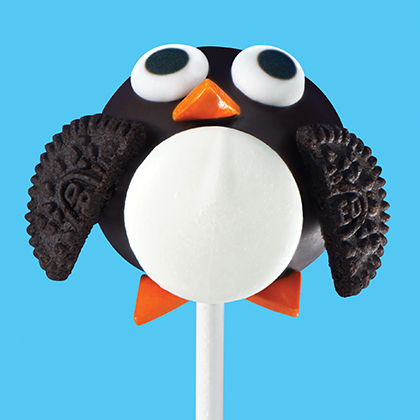 To make them true pops, insert craft-store lollipop sticks into the bottom of each Halloween cake pop. 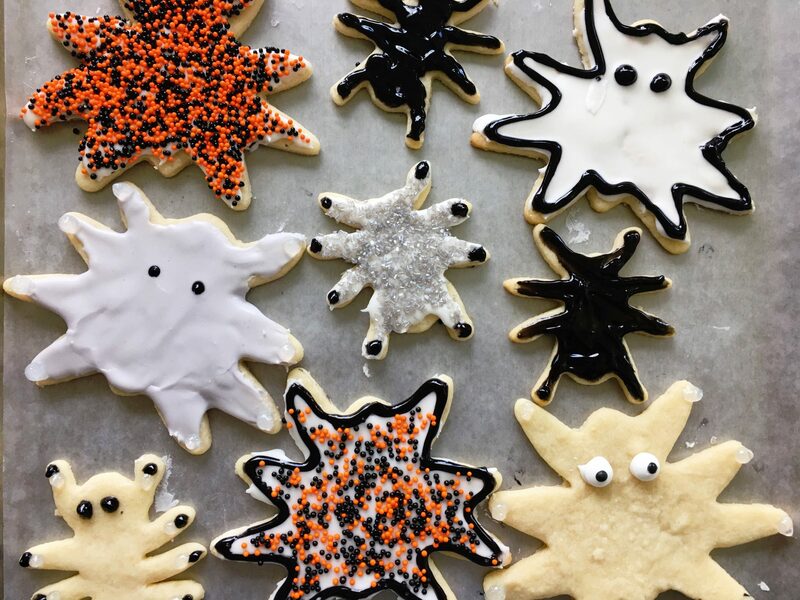 Whether you're greeting trick-or-treaters at the door or taking cookies to a Halloween party, get into the fun of the season with these "not-too-scary" Halloween treat recipes. 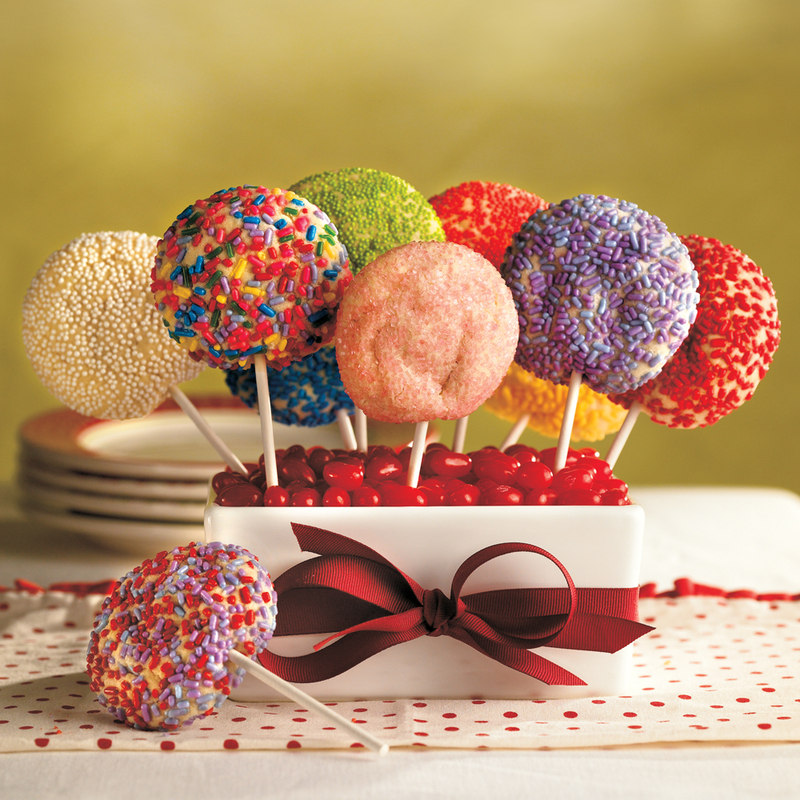 To bake these adorable cookie pops, simply roll balls of sugar cookie dough in colored sprinkles and insert a white craft stick before baking. Make a colorful (and edible) centerpiece for the kids' table by filling a container with florist foam, topping it with jelly beans, and then sticking the pops into the foam. Adorn your home with some jolly ole Saint Nick. 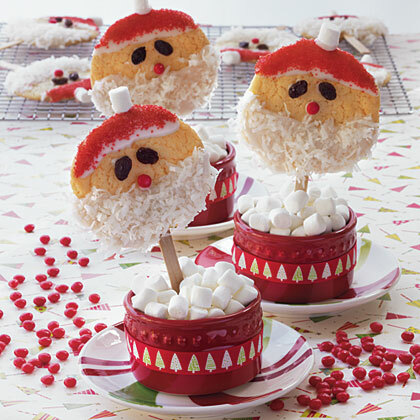 These cookie pops make a fun and festive table setting and a delicious after-dinner dessert. 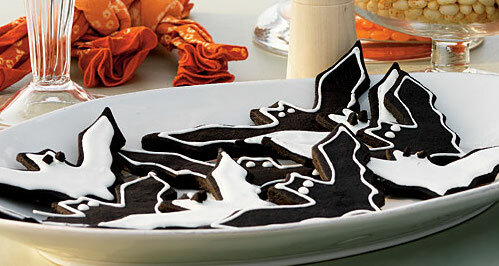 Transform a simple chocolate shortbread dough into spooky-cute bat cookies with nothing more than a bat-shaped cookie cutter and a little bit of icing. These easy Halloween treats are great to send for the kids’ school parties (especially since they can help make them) and are a fun, festive dessert idea for any Halloween potluck you might host or attend. While we do love a good chocolate bat, you can use the cookie dough for just about any other halloween cookie shape you want to make—like cats, pumpkins, ghosts, or skeletons. Just use your royal icing or a store-bought icing pen to get have some fun adding decorative details. You can usually find multipacks of various Halloween cookie cutters at craft stores, and can always order them online. 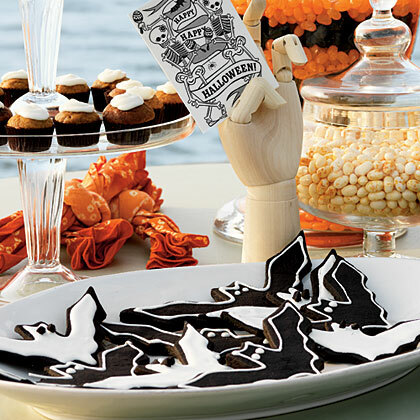 Cookies get a new theme thanks to a bat-shaped cookie cutter and a little work with royal icing. 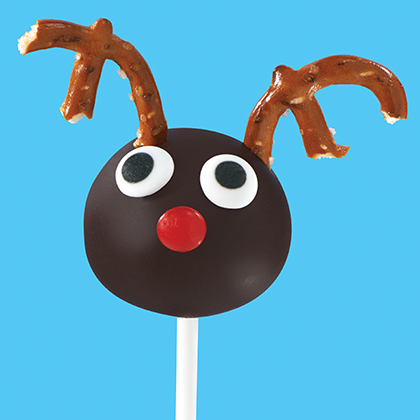 If you make your bats all white, use mini chocolate chips to make the eyes. 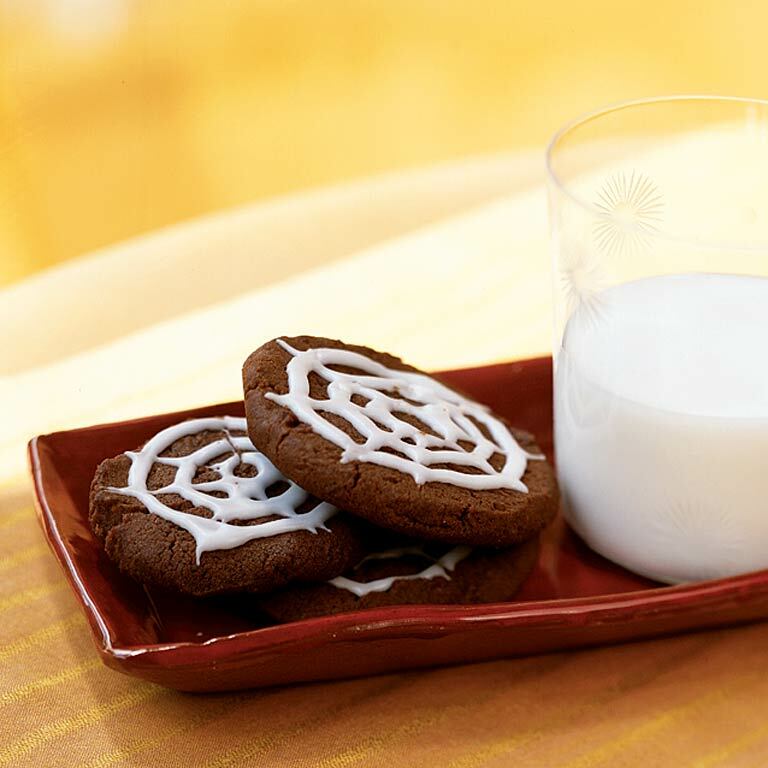 Start with a recipe for basic chocolate cookies and turn them into Halloween treats by decorating the tops of the cookies with white icing in spiderweb design. At just a quarter a pop, these decadent and rich chocolate truffles will be the hit of your Halloween gathering. 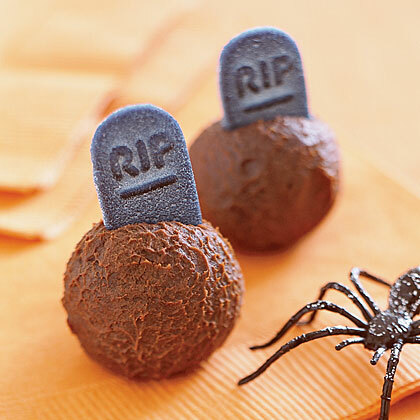 Decorate with mini Halloween candies or roll in toasted nuts, cocoa powder, or powdered sugar. Use Halloween cookie cutters for fun shapes to sandwich the creamy filling of these delicious treats. As yummy as pumpkin pie... without the crust! 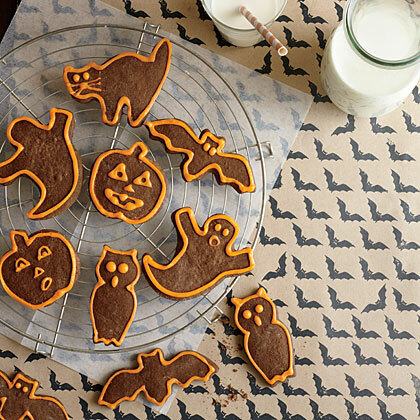 Freeze in a 13"x9" pan, and use Halloween cookie cutters to make individual servings. 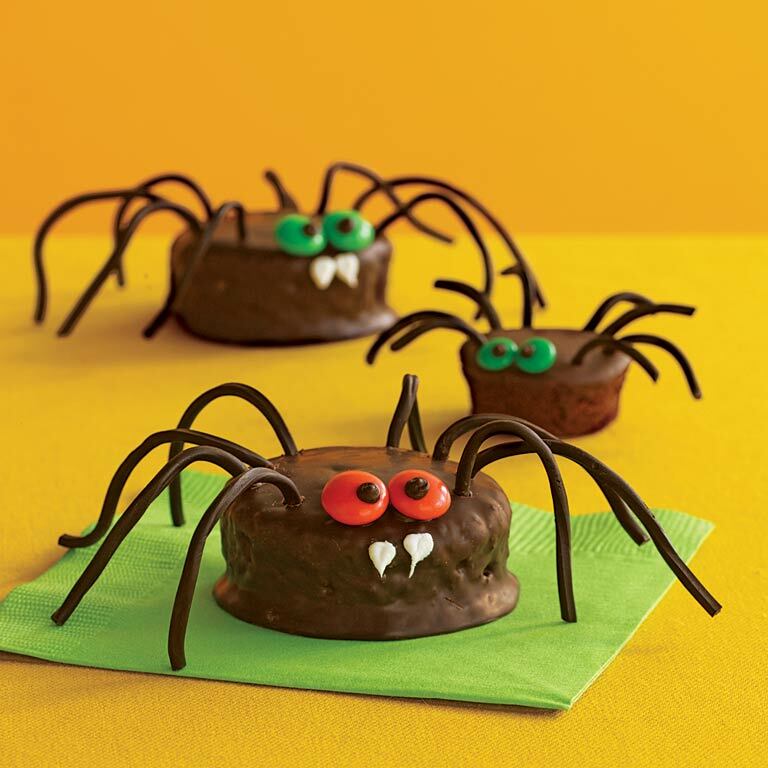 Transform packaged snack cakes into creepy crawlers. 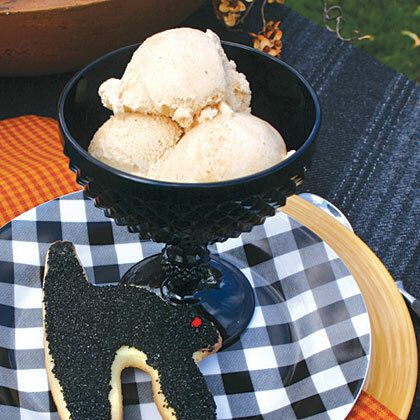 These treats take minutes and are a perfect Halloween-themed activity for cookie-loving kiddos. If orange food coloring isn't available, combine red and yellow to create an orange hue.